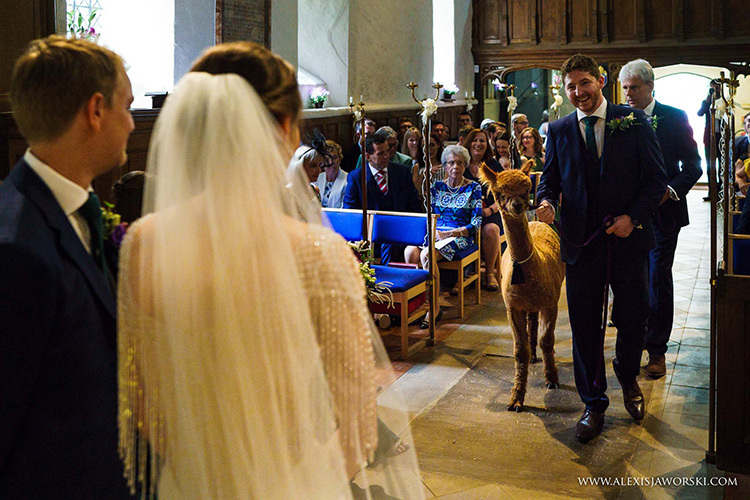 Weddings are undoubtedly a time of great celebration and Pinnacle Alpaca Wedding Packages offer that ‘chance of a lifetime’ to do something a little bit different on Your Big Day! 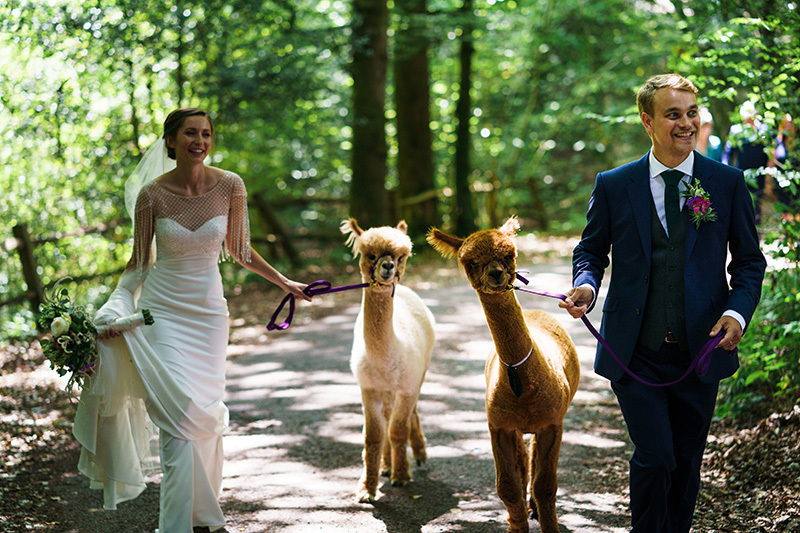 Here at Pinnacle Alpacas we are delighted to be able to offer a variety of options perfectly tailored to couples preparing for their wedding day that will guarantee whoops of joy and smiles all around and a truly unforgettable day. 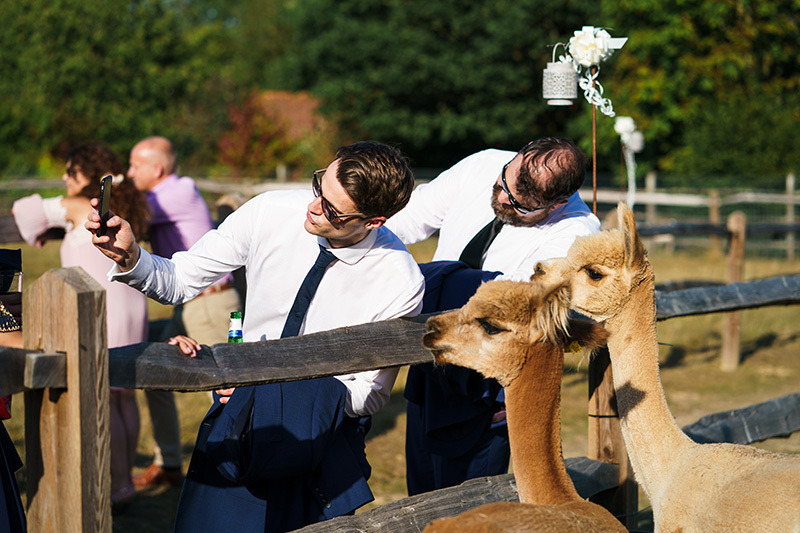 Our animals can make the perfect addition to your celebrations as they entertain, charm and beguile your guests with their huge big brown eyes, long eyelashes and teddy bear looks. 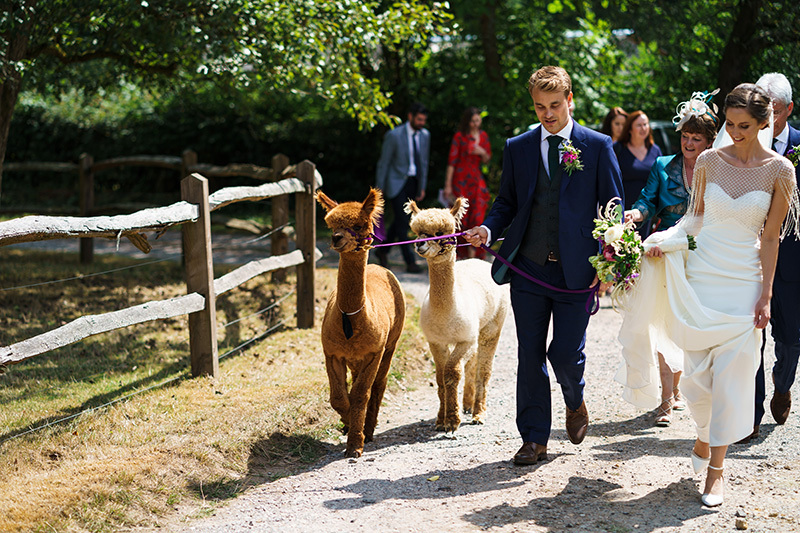 Tucked away in the Surrey Hills and situated right next to a beautiful 12th Century church, we are perfectly located for that country wedding feel at many nearby, Surrey/Sussex picturesque country churches and wedding venues and we are happy to bring our pedigree alpacas to your chosen venue to provide you with that extra wow factor and photo opportunity on your wedding day. 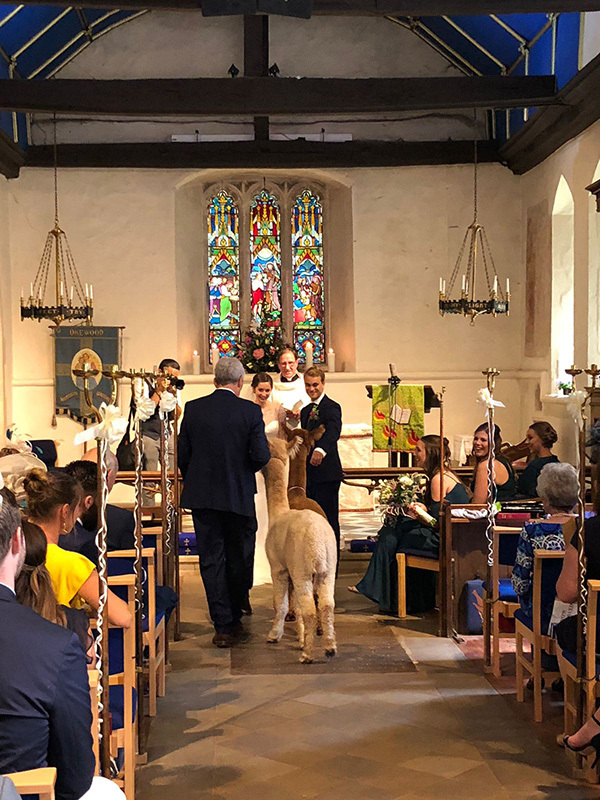 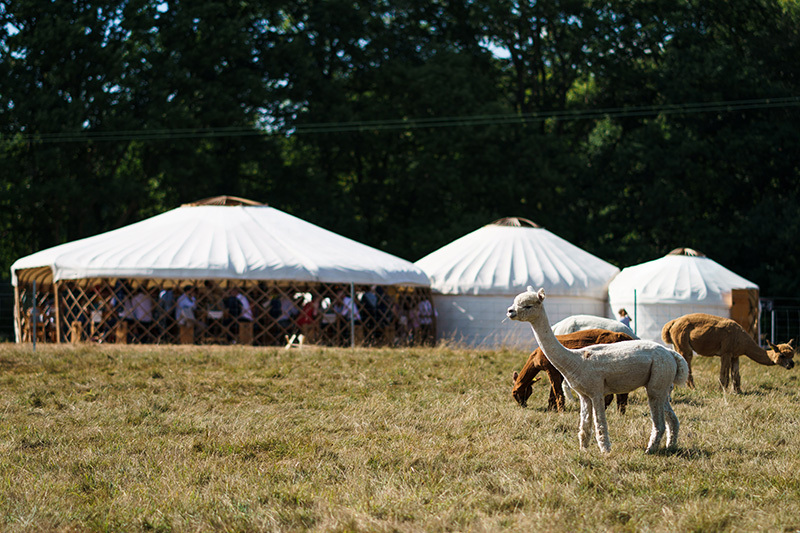 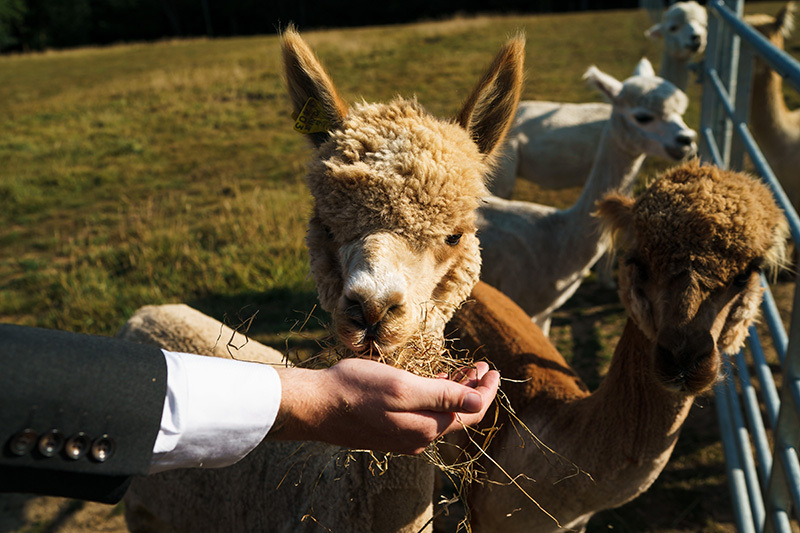 If you haven’t quite found what you are looking for, why not talk to us about your dreams and how we can help realize these with a bespoke alpaca Wedding package.